Citroen says it will be the "most comfortable SUV on the market"
Equipment includes panoramic sunroof, heating and massage functions on the front seats and an air quality treatment, which has an active carbon filter. 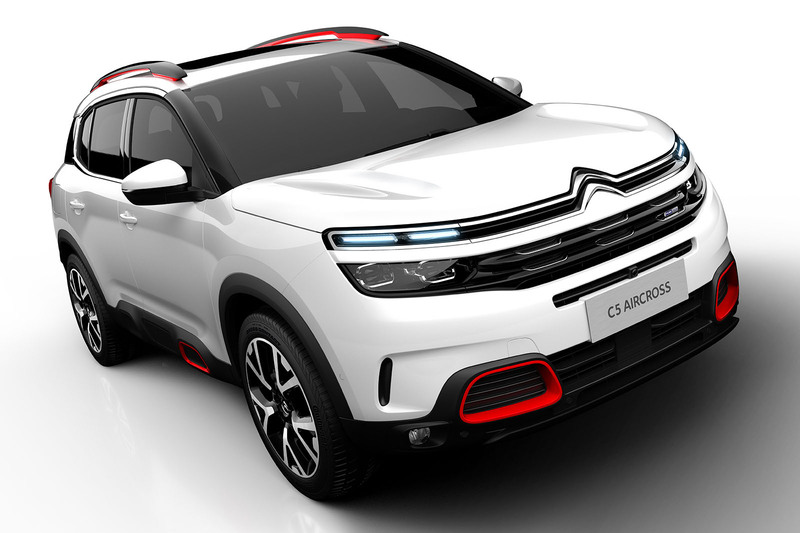 The Citroen C5 Aircross, revealed a day before the Shanghai motor show, will be the first model from the car maker to offer a plug-in hybrid variant, which will become the most powerful Citroen model yet produced when it arrives in 2019. The compact five-seat SUV will take on rivals such as the Nissan Qashqai and Seat Ateca and will be crucial to the car maker’s future success with sales of this segment still the fastest growing in Europe – some 11 years after the Qashqai first launched. Citroen boss Linda Jackson described the model as not just a new SUV but also as "kickstarting the global transformation of the brand". The PHEV drivetrain will comprise a 200bhp combustion engine and two electric motors, one front and one rear, developing a total output of 300bhp. The four-wheel-drive hybrid model will have a claimed all-electric range of up to 60km. It will sit alongside petrol and diesel variants which are likely to include the Puretech 130 petrol and BlueHDi 100 diesel as seen on the existing C4 Cactus. The model also premieres Citroen’s new suspension system called Progressive Hydraulic Cushions which intends to improve damping quality while maintaining “Citroen characteristics”. The system adds two hydraulic stops, one for rebound and one for compression, on either side. Citroen says these stops create a “‘flying carpet’ effect as if the car were flying over bumps and dips in the road”. Product boss Xavier Peugeot said it will be "the most comfortable SUV on the market". While 4x4 will be offered in the hybrid variant, standard models will only be two-wheel-drive but will feature Citroen’s Grip Control system which uses an advanced anti-skid function to manage traction and offers five modes: standard, sand, off-road, snow and ESP Off. Built on the same EMP2 platform as its sibling the Peugeot 3008, it is 4.5m long, 1.84m wide and 1,67m tall making it one of the largest SUVs in the sector. It also has a generous 2.73m wheelbase – larger than the Qashqai or Ateca - which Citroen claims will offer “best-in-class space for passengers”. Three trims levels are expected but specifications have not yet been decided. Equipment includes panoramic sunroof, heating and massage functions on the front seats and an air quality treatment, which has an active carbon filter. 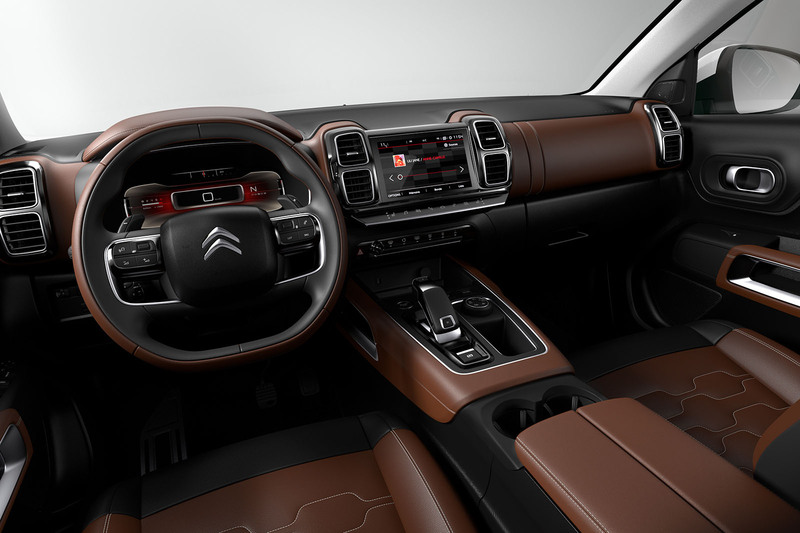 Citroen also plans to launch so-called Clean Cabin technology on the C5 Aircross which will allow passengers to see the quality of the filtered air on the infotainment screen. It also has a 8-inch touchscreen, a new generation of Citroen nav and wireless inductive charging for smartphones. Driving aids include Active Lane Departure Warning, Adaptive Cruiste Control and a 360-degree camera, all of which are displayed on a 12.3-inch digital instrument cluster facing the driver. Based on the C5 Aircross concept, the design of the Aircross has been toned down for the production version. The model continues the aesthetic seen on the C4 Cactus and C3, according to Citroen design director Alexandre Malval, but takes into consideration the need for the car to be a worldwide success. “The car demonstrates our ability to show the aesthetic of the C4 Cactus but this product has to be successful in China and Europe, so we’ve played with some existing ingredients but done them slightly differently,” he said. For example, the airbumps seen on the C4 Cactus “would not be well received in China” said Malval. He added that with the lower side sill design detail, there would be “too much plastic for this type of vehicle” if the air bumps had been incorporated. The design also intends to bridge the gap between existing European and Chinese models. While it features elements of the C4 Cactus and C3, the grille also reflects that found on the China-only C6 saloon. 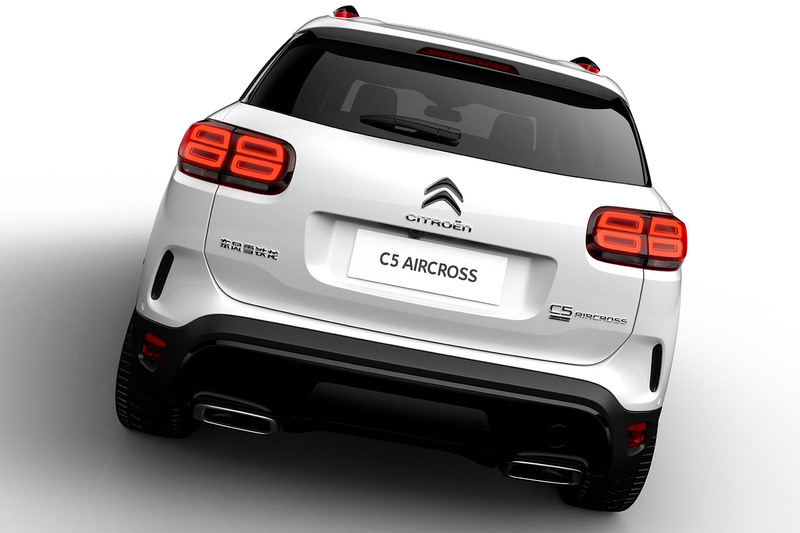 In reference to the design of the C5 Aircross and the imminent C3 Aircross, Malval said: “It is important that we don’t copy and paste design themes from one car to another,” adding that the C3 Aircross would be “more playful” in line with what he believes people expect from a smaller SUV. Despite going on sale in China later this year, the C5 Aircross won't arrive in Europe until summer 2018. Carlos Tavares, boss of PSA Group which owns Citroen, said the delay is because the company as a strategy of one car per brand per region per year. For Europe this year, Citroen will launch the C3 Aircross, which rivals the Nissan Juke. Tavares said he believes launching one model annually allows everyone to focus on its success. When the C5 Aircross does launch, it is expected to be priced similarly to the 3008 which starts from £21,995. To go with the new C3 and C1 and Picasso's, just need replace the C4. Looks like Citroen aren't quite dead yet. Of the car companies that do 'funky' styling (Mini, Fiat, Citroen), Citroen has clearly surpassed the other two with the Cactus, C3, and now this C5. Mini is still apparently selling well, so even though I deplore its styling direction it at least has a business case. But I wonder what Fiat's plan might be with its aging 500 and its lacklustre derivatives? Why so longgggggggg! 300bhp 40 mile EV range "the most comfortable SUV on the market" looks great and a will be way better value than a JLR product - but won't even be orderable until probably late 2019. By then I will be long tied into another 4 year lease on something I probably will want to own less than one of these. same applies to the C7 Aircross... just get them made! look at the depth of the doors then look at the relatively shallow side windows. That relatively squashed roof line will almost certainly mean a lack of headroom in the back, particularly when equipped with a sunroof (and as is the case with the new 3008 and 5008). A common fault of so many new cars these days and I don't think they look any better for the low roof. I hope to be proved wrong with this Citroen because I would certainly consider it. Poor rear headroom or...poor visibility out for children sitting in the back. It must be terrible sitting in the back seat now, or are children so engrossed in their phones/tablets etc that it doesn't matter any more!